An Apple video service is in our future, but a lot needs to happen before you can start streaming original shows to your Apple TV, iPhone, iPad, or Mac. What has to happen between now and the day we all sit down and watch the first episode of van Amburg and Erlicht’s first major acquisition to play through our Apple TVs or on our iPads and iPhones? Apple hired van Amburg and Erlicht away from Sony because they’re well-respected execs with great connections. (Apple has since hired several other impressive execs from production companies and Amazon and the BBC.) After a quiet period as the team was assembled, Apple has gotten involved in the bidding on numerous major TV projects. Macworld has compiled a list of all the Apple deals sealed so far, but they include high-profile pacts with well-known producers, writers, and stars. Reports suggest Apple’s content budget for 2018 is as much as $1 billion, and it could grow at a rapid rate. TV takes a long, long time to make. Apple is short-circuiting part of the usual development process by ordering its shows “straight to series.” Traditionally in television (though the tradition seems to be eroding rapidly) a sample episode, called a pilot, would be produced before an entire season would be ordered. Bypassing the pilot isn’t quite the same as buying a show sight unseen—presumably Apple has seen pitch documents and potentially even a few scripts, and will give input on casting and other creative decisions along the way—but the company saves several months by bypassing the pilot process and buying entire seasons of series up front. Apple has ordered a TC series starring Reese Witherspoon and Jennifer Aniston. The name of the show and a release date have yet to be announced. So production on these shows is starting to crank up, with stars like Reese Witherspoon, Jennifer Aniston, and Octavia Spencer, and creators like Ronald D. Moore, Steven Spielberg, and Bryan Fuller signed up. (Apple’s also apparently bidding with HBO for the next J.J. Abrams project.) The question is, where will they go when they arrive? Any new video subscription service starts with zero customers and has to build from there—unless they can find a way to get a leg up, like Netflix (with its pre-existing DVD business) and Amazon (with its existing Prime service) did. I have a hard time believing Apple won’t charge extra for its video service, but it’s possible that it could repurpose existing Apple Music subscriptions. It seems more likely that Apple would start off with a free trial offer, as it did with Apple Music, with the hope of building its customer base that way. 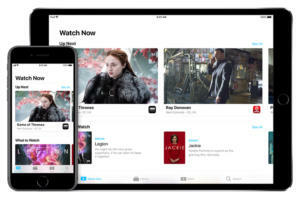 And of course, every Apple device is part of Apple’s customer base—so if everyone who owns an iPhone, iPad, Apple TV, or Mac got instant access to Apple’s new shows (for a limited time), that would be a quick way to build a subscriber file. The other way to build a customer base quickly would be to buy out one or more existing streaming services. Again, the hiring of van Amburg and Erlicht suggests Apple’s decided against this for now, but it’s not impossible that it could swoop in and buy a smaller service out before it launches. Sending HD video to thousands or millions of customers requires a pretty sophisticated streaming infrastructure. While iCloud has certainly had its shaky moments from time to time, Apple is a tech company that’s been learning about this stuff for a while now, and iTunes streams an awful lot of video already. Contrast that with a service like CBS All Access, which had some major problems with its content-delivery network, or CDN, during an early episode of Star Trek: Discovery. 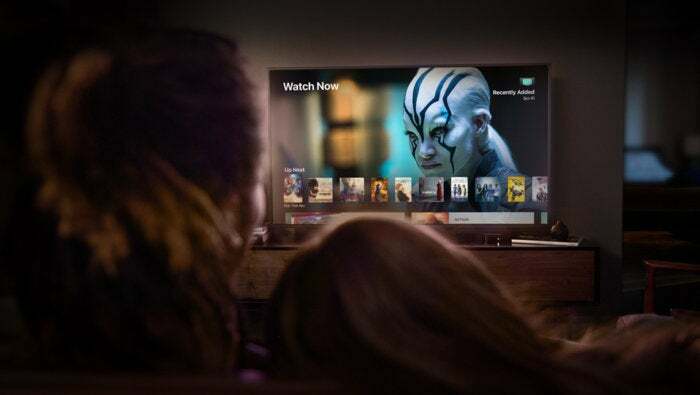 It takes a lot of technical expertise to run a streaming service, which is one reason Disney invested so heavily in BAMTech, a spin-off from Major League Baseball widely thought to be a leader in streaming tech. One type of content Apple hasn’t yet been linked to is live sports, which seems to be the hardest job in streaming. Pre-recorded shows like Game of Thrones can be preloaded across a CDN in advance of release, thereby spreading the network load—but live sports have to be transmitted in real time, and under a huge load, the streams still fail. Ask anyone who tried to watch the national football championship on ESPN earlier this month. Could Apple offer its streaming video service outside of its own devices? It’s possible, but it seems unlinkely. Netflix got its streaming service embedded in just about every Internet-capable device in existence. Amazon’s done much the same. Apple, of course, comes with its own home-field advantage: the TV app on every iPhone, iPad, and Apple TV out there. Problem solved. Will Apple offer its video service on other devices? It’s possible, but it sure seems unlikely. The point of Apple’s video service is to expand services revenue—but it’s also to accrue more value toward Apple’s hardware offerings. It seems unlikely that any of the series Apple has already bought will be ready before late this year. It takes time to assemble a writing and production staff, write, cast, shoot, and edit. Fall 2018 seems like the earliest an Apple TV service could premiere, and even that feels like pushing it. But it’s definitely happening. An Apple video service is in our future, with a bunch of shows from people you know, who have created stuff you’ve loved in the past. Will the shows Apple is buying now be good enough to drive subscriptions to yet another video streaming service, when there’s already a lot of subscription fatigue out there? These are questions for late 2018, or quite possibly for 2019. But the shows themselves are on their way.